Oklahoma running back Joe Mixon will skip his junior and senior seasons in college and head straight to the NFL draft. According to ESPN and The Oklahoman, Mixon told his Sooners teammates that he planned to go to the draft this afternoon. 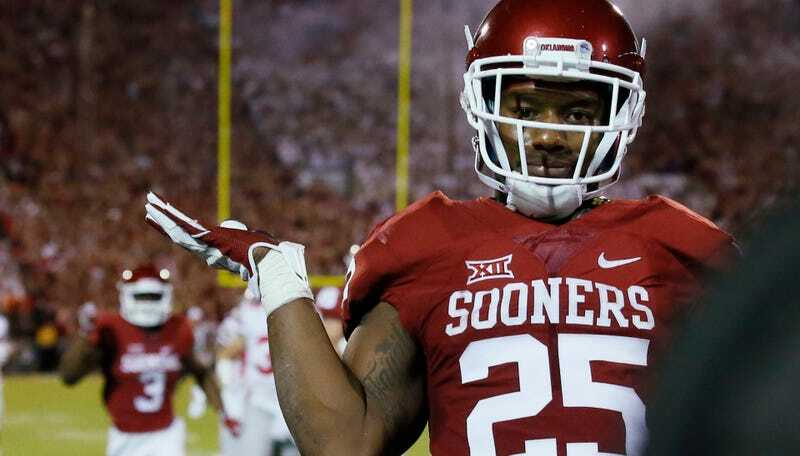 Mixon played two seasons for the Sooners and is eligible because he redshirted the 2014 season. He was suspended for the duration of that year after he was charged with punching a woman and leaving her unconscious. Two weeks before Oklahoma’s Sugar Bowl win over Auburn, Mixon’s lawyers finally released video of him socking Amelia Molitor unconscious in a sandwich shop. Mixon also missed time this year after he tore up a parking ticket and threw it in an attendant’s face. It’s uncertain where Mixon will likely be picked in the draft. Pro Football Focus has him as their 24th-best prospect and ESPN ranks him as the fifth-best running back prospect. But both of those assessments have not factored in the assault and the ongoing lawsuit against Mixon, which will probably cause him to slip out of the first round.